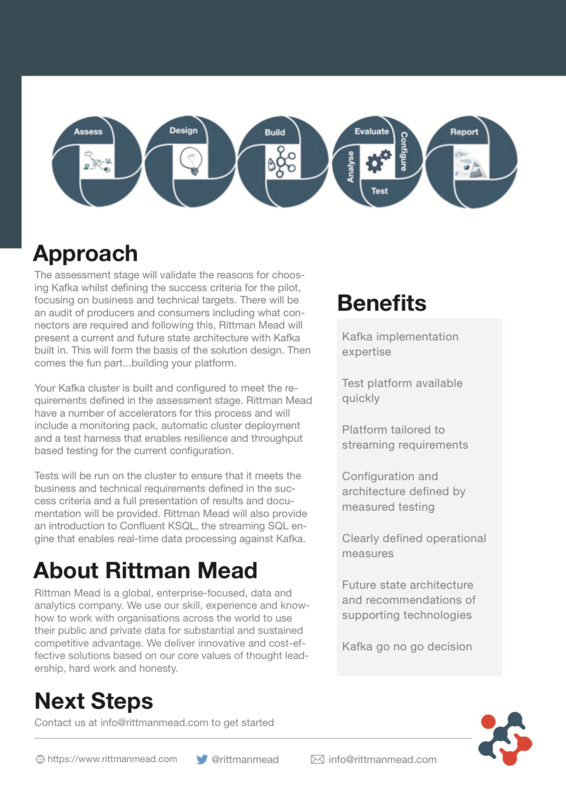 Rittman Mead is today pleased to announce the launch of it's Kafka Pilot service, focusing on engaging with companies to help fully assess the capabilities of Apache Kafka for event streaming use cases with both a technical and business focus. 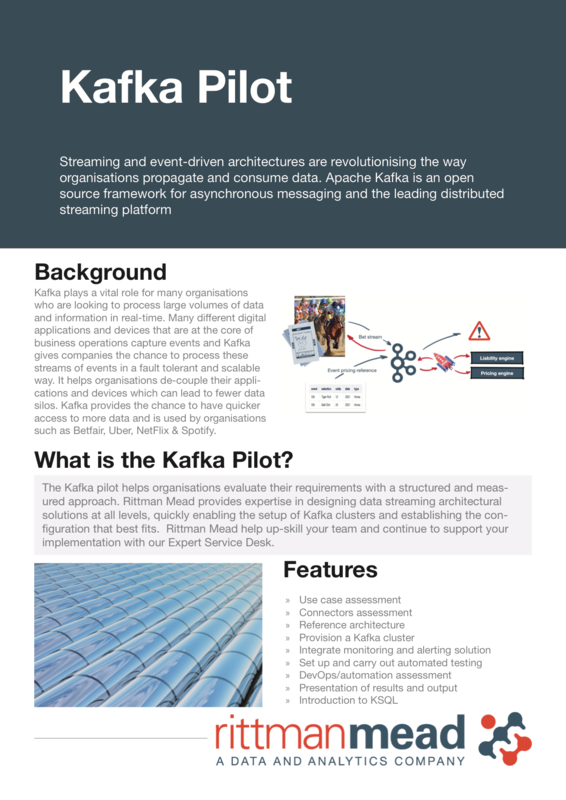 Kafka plays a vital role for many organisations who are looking to process large volumes of data and information in real-time. Many different digital applications and devices that are at the core of business operations capture events and Kafka gives companies the chance to process these streams of events in a fault tolerant and scalable way. It helps organisations de-couple their applications and devices which can lead to fewer data silos. Kafka provides the chance to have quicker access to more data and is used by organisations such as Betfair, Uber, NetFlix & Spotify. ← ORDS: Empty JSON or 404 for No Records?